After studying music at York University and singing as a postgraduate at the Guildhall School of Music and Drama, Joseph was awarded a BP Scholarship to study on the Guildhall Opera Course for two years. He began his career with The Consort of Musicke, the Tallis Scholars and the Taverner Consort, singing Monteverdi’s Vespers in his first BBC Prom shortly afterwards under Andrew Parrott, which he also recorded for EMI. He has now made three recordings of the Vespers. He has sung under such conductors as William Christie, Harry Christophers, Eric Ericson, Sir John Eliot Gardiner, Trevor Pinnock, Sir Roger Norrington, Gabriel Garrido, Steuart Bedford, Ivan Fischer, Peter Seymour, Christian Curnyn and Hervé Niquet. His international engagements have taken him throughout Europe and to North America and the Far East as well as throughout the UK. 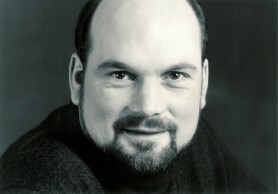 Operatic roles have included Snout A Midsummer Night’s Dream, Britten at the Teatro di San Carlo, Naples, Mitridate Il Pompeo Magno, Cavalliat the Varazdin Festival, Croatia, Polimone Il Tito, Cestifor the Opéra National du du Rhin, Strasbourg, Il conte Le nozze di Dorina, Galuppi, at the Musikfestpiele Potsdam Sanssouci, Achille Iphigénie en Aulide, Gluck for Opera Factory at the QEH, Lurcanio Ariodante, Handel for St Gallen Opera, Pilade Oreste, Gluck for the English Bach Festival, Monteverdi Orfeo for the Boston Early Music Festival, Capella Cracoviensis and for Oslo Summer Opera, Giove Il ritorno d’Ulisse, Monteverdi and King Arthur, Purcellin Lisbon, Eumete Il ritorno d’Ulisse at the Aix-en-Provence Festival (a production now available on DVD), Thespis / Mercure Platée, Rameau for TCC Productions, Lisbon, and Tamese Arsilda, Regina di Ponto, Vivaldiat the Barga Festival. His recordings include St Matthew Passion with the Drottningholm Baroque Ensemble, Boyce Peleus & Thetis with Opera Restor’d, Campra Requiem and King Arthur with Le Concert Spirituel, Israel in Babylon with the Kantorei Saarlouis, Messiah, Monteverdi Vespers 1610 and Selve Morale with the Taverner Consort, Acis & Galatea (Gramophone Baroque Vocal CD of 2000), Monteverdi Vespers 1610 and Mozart Mass in C Minor with Les Arts Florissants, Monteverdi Vespers 1610 with the Gabrieli Consort, Rossini Petite Messe Solennelle with Jos van Immerseel (BBC Radio 3 Building a Library Choice), Mozart Requiem with the Yorkshire Baroque Soloists, Shepherd Oedipus Rex, Stravinskywith the Philharmonia Orchestra, Tamese Arsilda, Regina di Ponto, Vivaldiwith Modo Antiquo, Peri’s Euridice, Arcetro, with Opera de Rouen and Fairest Isle with the Parley of Instruments. He recently sang Orfeo L’anima del filosofo for the Atelier Lyrique de Tourcoing with Jean-Claude Malgoire, Eumete Il ritorno d’Ulisse at the Teatro Real, Madrid, with William Christie, the B Minor Mass with Capella Cracoviensis, Bach Cantatas at the International Bach Festival, Swidnica, and Messiah with the Choeur de Chambre de Namur and Les Agrémens in Brussels and Namur. Ugone Flavio for English Touring Opera, Mars Dido and Aeneas with the New London Consort and Philip Pickett and Messiah with Capella Cracoviensis. Current engagements include Monteverdi madrigals at the Spitalfields festival with Harry Christophers, recorded commercially afterwards, Orfeo with the New London Consort in the Three Choirs Festival, Mozart operatic arias, duets and the C Minor Mass at the Gdansk Mozartiana festival, Monteverdi Vespers in the Bath Mozart festival with the Gabrieli Consort and Paul McCreesh, Pisandro and Giove in Ulisse for the Flanders Opera in Ghent and Antwerp and a production of Purcell’s Fairy Queen with Philip Pickett in Paris, Barcelona, Luxembourg, Rotterdam, Manchester and Birmingham.